Ampolt Smart lighting is a lighting technology designed for energy efficiency. This may include high efficiency fixtures and automated controls that make adjustments based on conditions such as occupancy or daylight availability.Smart lighting is the good way which enables to minimize and save light by allowing the householder to control remotely cooling and heating, lighting, and the control of appliances.This ability saves energy and provides a level of comfort and convenience. Solar Grid systems capture light from the sun and conduct it towards a room using optical fibers. They use rooftop collectors, large mirrored dishes, that track the sun. The collectors adjust to aim the sunlight onto 127 optical fibers which are conducted into a single chord. The optical fibers are flexible and can be connected into hybrid light fixtures that are joined to diffusing rods that disperse the light. Being an eminent company, we are involved in offering best quality of Smart LED services.LEDs are an extremely efficient form of lighting. They produce far more light per watt than incandescent bulbs - this is useful for energy conservation, but also extending the life of battery powered or energy-saving devices. 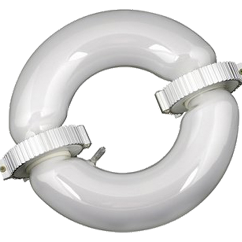 As per the requirements of the customers, we are involved in offering best quality of Induction Lamps. 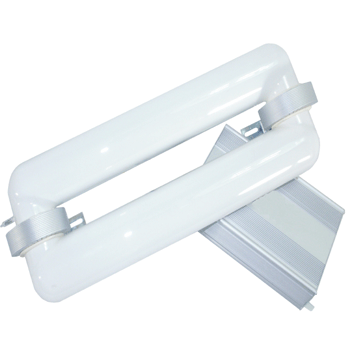 The offered Induction Lamps are available in market in different sizes. Customers can avail these Induction Lamps at reasonable prices. Our products are highly durable in nature. We provide the most innovative and appropriate products and solutions in the field of electronics, communication, energy and environmental technologies.